Looking to hire a development director or fundraising manager for your nonprofit? These 25 interview questions will help you through the HR hiring process and find the right fundraising executive for your organization. I developed the questions for all levels of candidates: you’ll find job interview questions for those development directors just starting out in their careers all the way to more complex questions for the nonprofit development professional. 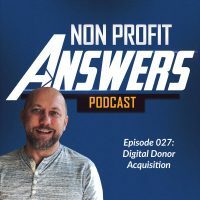 Many people interested in working in a nonprofit want to avoid being a fundraiser. What draws you to fundraising? Why are you interested in this career? What do you enjoy about fundraising? What fundraising channels do you have the most expertise in? What are the top three characteristics of a great fundraiser? What is the largest donation ask you’ve ever presented to a potential donor? Did you get it? Why did the donor give or why didn’t the donor give? What do you love about this organization? What will it take to get millennials to give more? When should you stop asking a prospect for money? How do you build a healthy relationship with a prospect? Explain a high level digital giving strategy. How do you feel about asking for money? Tell me about a fundraising campaign you’ve managed. Tell me about a fundraising campaign you’ve managed that failed. How would you use telemarketing in your fundraising mix? Describe how you would implement a new monthly giving program and motivate donors to start giving to it? Is it possible to send too many direct mail letters or emails to a donor? Describe a situation where you disagreed with a colleague about a fundraising initiative and how you handled the situation. Imagine you have a long-term employee on staff working with your major donors. He’s a “nice guy” but doesn’t meet fundraising quota. What do you do? If a board member came to you with advice about how you should be doing fundraising, how would you handle the situation? Describe the ideal relationship between the development director and the executive director. In a previous role, how did your leadership help the organization grow? In your role as development director, how do you help the organization meet its goals? What do you expect to accomplish in your first 90 days?